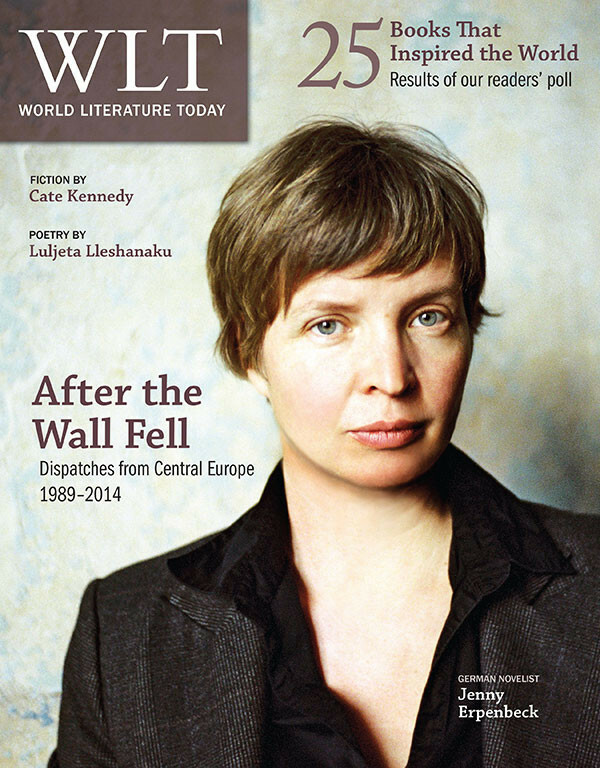 The November issue of World Literature Today, the prestigious American literary magazine dedicated to contemporay world literature, highlights Central European literature on the twenty-fifth anniversiary of the fall of the Berlin Wall. A fragment of what I consider to be one of my best poems, „Wall and Neutrino,” translated by Carla Baricz, is included in this special anthology, After the Wall Fell: Dispatches from Central Europe (1989–2014), aimed at popularizing post-Wende Central European literature. 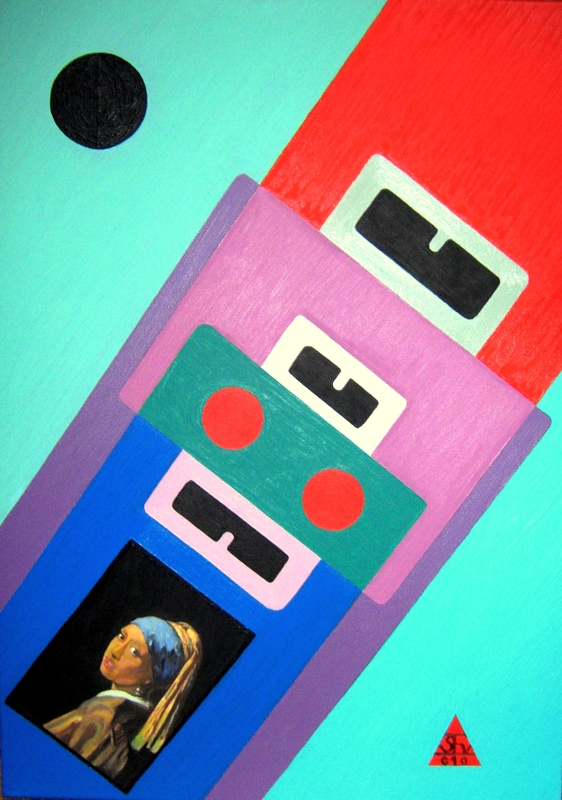 The assistant director and editor in chief of World Literature Today, the writer Daniel Simon, who was the coordinator of this elegant and incisive issue focusing on Central European writing, suggested that I illustrate my text with a painting from my Archetypal Expressionism Series, ‘’Text and Time 81,’’ oil on canvas, 50×70 cm, 2011. The poem published by World Literature Today belongs to my future book of selected poems in English, Wall and Neutrino. The Poet in New York. This book in progress features a forward by the well-known Italian writer Manrico Murzi, the former disciple and university assistant of the famous poet Giuseppe Ungaretti (the first winner of the Neustadt International Prize, in 1970). Murzi is a member of the editorial board of the prestigious Italian publisher Bompiani (Milano), a member of the Committee of Writers of the European Union, and an UNESCO Ambassador of Culture. I hope that I will be able to place this collection of selected poems with a good publishing house in United States or in Great Britain. My translator, Carla Baricz, is a doctoral student in the English Department at Yale University. She is also a translator from the Romanian and is the assistant editor and translator of the Trinity University Press anthology Romanian Writers on Writing. She has recent work in Romanian Writing (August, 2013), Alpha: Revistă de Cultură (2014), Observator Cultural (February, 2014) and in Magyar Lettre Internationale. She has reviewed for the LA Review of Books and Words Without Borders: Literature in Translation. Constantin Severin (constantinseverin.ro) is a Romanian writer and, as a visual artist, the founder and promoter of the award-winning concept known as archetypal expressionism. He is the author of eight books of poetry, essays, and novels, and his poems have been published by major Romanian and international literary magazines. He is one of the editors of the French cultural magazine Levure littéraire. 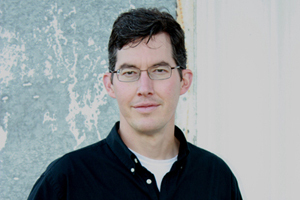 This entry was posted in Uncategorized and tagged After the Wall Fell, Carla Baricz, Central European Literature, Daniel Simon, giuseppe ungaretti, manrico murzi, Neustadt International Prize, wall and neutrino, World Literature Today. Bookmark the permalink.